The LR2 stands out in a sea of smaller SUVs with its ability to tame all manner of terrain thanks to an advanced traction-control system. In addition to having legitimate off-road chops, Land Rover's least-expensive vehicle features a plush interior and excellent visibility. 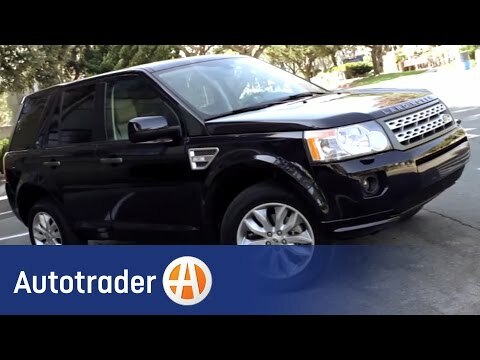 Land Rover lr2 is a great luxury vehicle. Great, luxurious interior. Excellent performance and reliability. It is comfortable, safe and drives well. Holds lots of cargo yet luxurious. Gets good gas mileage. Great sound system. Durable seats, great sunroof. Very comfortable during long drives. Very easy to drive even though it is sturdy, durable and safe. This car is very versatile. It can be used when there is a snow storm. My car is very reliable on the road. I have not experienced any problem with it so far. It's off the road feature is reliable for when it snows outside. It is a reliable car. The safety system is great and it is really great on gas. Rides drives good. Its great and really good on gas. Dislike that the brakes are going out. Tires had to be replaced 2 years after I bought it new!